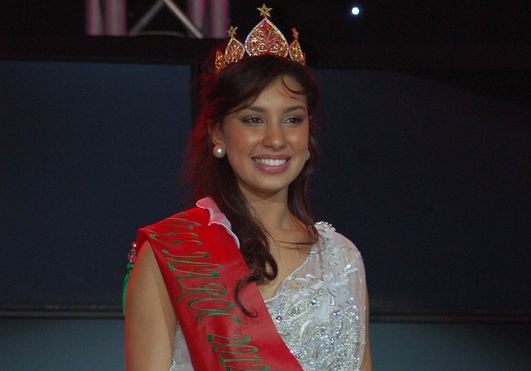 19 year old Sara Moatamid from Casablanca was recently crowned as Miss Maroc 2012 or internationally called as Miss Morocco 2012 during a pageant held at the Mazagan Beach Resort in El Jadida. Sara Moatamid is currently a student at l’ENCG (Ecole Nationale de Commerce et Gestion) and can speak five languages, namely: Arabic, French, English, German and Spanish. She will also be the official representative of Morocco in Miss World 2012 in Ordos, Inner Mongolia on August 18.